Dr Maurice Antoine Roussety - Antoine Maurice Roussety: Who is Maurice Antoine Roussety? Who is Maurice Antoine Roussety? Maurice Roussety was born in Mauritius and at the age of three his father tragically died. His father’s death was the cause of a three-year struggle following a stroke which made him wheelchair ridden. However, this was only the beginning of some of the tough times Maurice Roussety met along his life. Maurice too was suffering from health problems, he had Polio which was causing his body to be so weak he needed to walk on crutches. For Maurice growing up, it certainly wasn’t easy. Despite the sad times, there were happy times too, the bond he had with his mother and two elder sisters helped him to remain focused and positive about his future. Although Maurice continued to suffer from health problems, from asthma attacks to diphtheria this only made him a fighter. His family were poor and reliant on only his mother’s wage, though Maurice Roussety, took on the male role in the household and strived for the best academic results at school. He knew what was important for him and his future, at school he was top of the class and a leader in the local football team. At the age of 13 his mother decided to move to Australia, seeing the opportunities that would be there for her children. Yet again, Maurice was faced with hurdles. He hardly spoke any English and had a strong French accent which the children made fun of him for. Culturally he was different, he dressed differently and looked different. Maurice, incredibly bring, pushed through and went on to study Economics and Commerce, following the completion of a Masters’ Degree and a PhD. There is a lot more to find out about Antoine Roussety, he says “my achievements taught me very little about life and it vagaries. My biggest learnings came late in life when my world fell apart, fell in a dark hole and hit rock bottom”. As Maurice now is rebuilding his career we learn more of what his future holds. As Maurice Roussety has become specialized in the field of franchising, he runs seminars and many talks advising the industry using a business model built up on his expert knowledge. 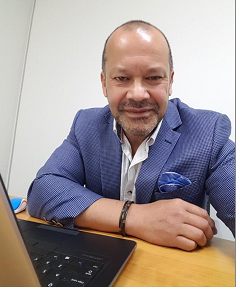 For Dr Maurice Roussety, strives to keep ahead in the franchising stakes as he is someone who understands the market and the tools that is needed to be successful. Dr. Maurice Roussety wears many hats. As an agent of change, he is deeply committed to enhancing sustained value to organisations of all shapes and sizes. He is renowned for his utilisation of lateral and conceptual frameworks in structuring complex business and financial arrangements.He is highly experienced in finance, marketing and management across a number of industries.